A copy of the Product News document circulated to dealers ahead of the Exige S’s unveiling in Frankfurt has shown up on the Asphalte.ch forum, shedding light on some of the details of Lotus’s much anticipated V6 engined sports car. 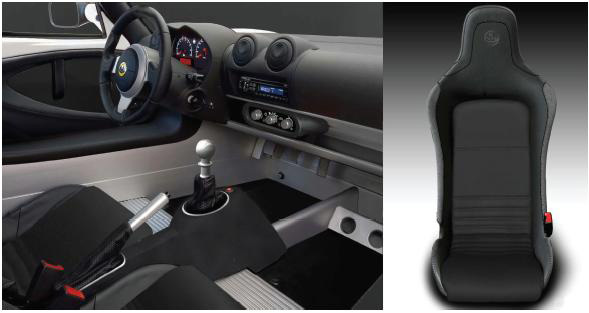 One design, two different options. 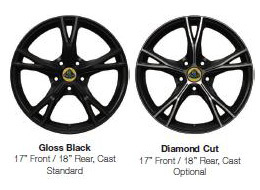 The standard design in black, or the optional ‘Diamond Cut’ version with the alloy exposed along the edges. The wheels are 17″ at the front and 18″ at the rear, with Pirelli P-Zero Corsa System tyres fitted as standard and Pirelli P-Zero Trofeo tyres available as an option. The front tyres are 205/45/17 in size, with 265/35/18 at the rear. 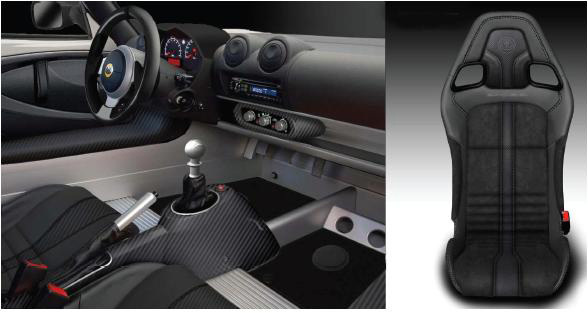 Looks mostly the same as current S2 Elise and Exige interiors. Only available trimmed in black cloth. Cannot be ordered with the harness and cross bar option. 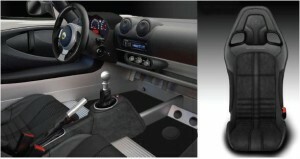 Premium Sport seats in black leather or black leather/SuedeTex combination. Optional contrast stitching. 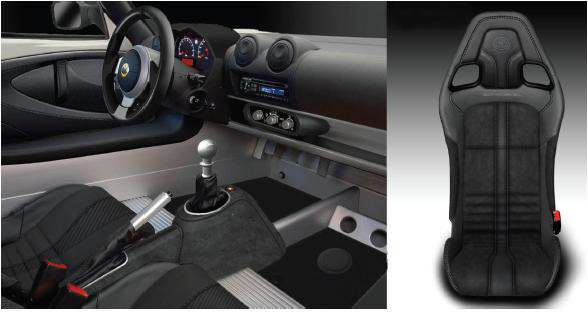 Available with Premium or Premium Sport interior packs. Illustrated with Premium Sport. Carbon centre console, sills, heater controls, vents and binnacle surround. 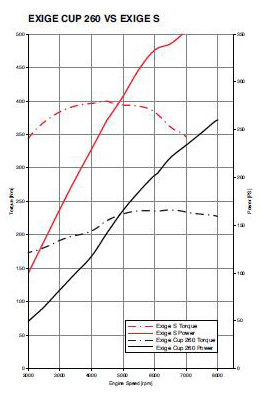 As previously known, 345bhp and 295lb/ft, however a dyno graph comparing against the Exige Cup 260 is also included. 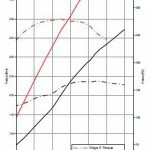 The graph shows an extremely linear power delivery, which should give the Exige S fantastic any gear, any speed, flexibility. 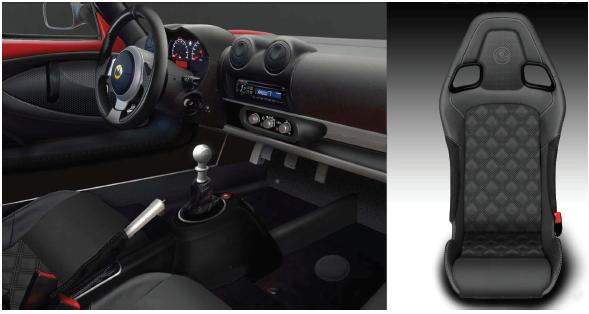 As per the Evora MY12, Toyota EA60 gearbox with Close-ratio gear set. 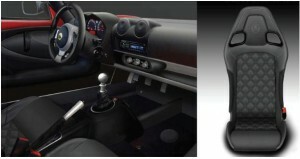 Derived from the Evora S system. Cross drilled discs, AP-racing 4-pot brake callipers and braided hoses. Bilstein dampers and Eibach springs. Standard setup balanced between track and everyday use. Race Pack suspension settings optimised more towards track use and for the Pirelli Trofeo tyres. Valved exhaust, carried over from the Evora MY12, with differing modes of operation. Touring mode – Valve remains closed to reduce noise and is only opened at higher revs to prevent engine damage due to back pressures. 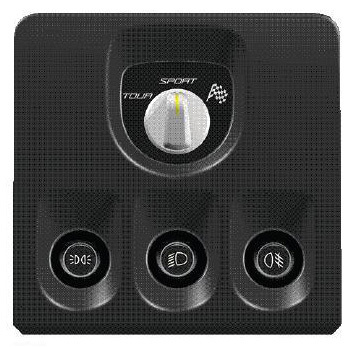 Sport mode – Valve open most of the time. Race and DPM Off – Valve open all of the time. Introduced on the Evora and now standard across the Lotus range. Touring mode puts all DPM systems in to their fully activated mode and is designed for normal daily driving conditions. Sport mode relaxes the DPM systems. Off disables all DPM features bar ABS. Available only on cars equipped with the Race Pack. Can only be activated when the car is stationary and in Race Mode. The figures given for the car differ to what has been shown elsewhere, however as the document dates back to September or possibly earlier these may not be the final figures. Weight is given as 1176kg, as opposed to the previously states 1080kg. The top speed is listed as 168mph. Emissions are given as 236g/km CO2. We wouldn’t take these as gospel however and are awaiting the official figures with baited breath.